(Houston, TX) - During National Child Passenger Safety Week (September 14-20), AAA Texas reminds parents and caregivers to ensure their children are secured properly in the correct seats – every trip, every time. In motor vehicle crashes, child safety seats reduce the risk of fatal injury by 71 percent for infants and by 54 percent for toddlers. 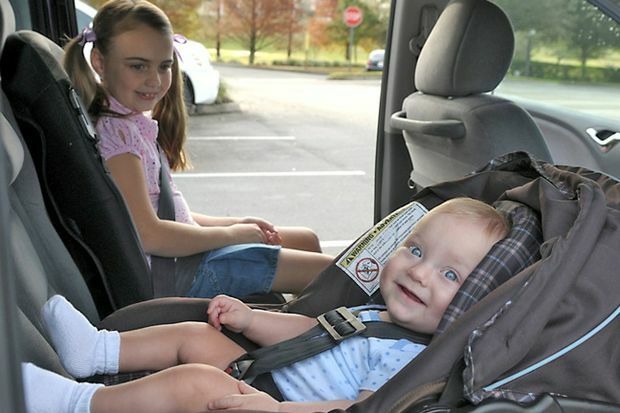 AAA advises parents of infants and young toddlers to secure their children in rear-facing child safety seats for as long as possible, maxing out the upper weight or height limits of the car seat. According to NHTSA, nearly three out of four child safety seats are not used properly, which is a grave risk when traveling. Researchers indicate that toddlers are 75 percent less likely to die or be seriously injured in a crash when they ride in a rear-facing car seat up to their second birthday. “We have a critical opportunity to save young lives by empowering parents to follow these guidelines,” said Schimmer. •Always read the car seat manufacturer’s instructions and vehicle owner’s manual. •Keep children rear-facing as long as possible until they reach the upper weight or height limit of their rear-facing convertible seat. •Children should use a forward-facing child safety seat until they reach the maximum weight (usually 40-65 lbs.) or height for the harness. •Children should ride in a booster seat until age 8 or older unless they are 4’9” tall. •Move children to adult lap/shoulder belts when they are at least 4' 9" tall (which usually happens between ages 8 and 12) and vehicle safety belts fit properly. •For all children under age 13, the back seat is the safest place. Consulting an expert can be critical to ensure that children are secured in the safest manner possible. Parents and caregivers can visit www.SafeKids.org to find a certified technician to inspect their child’s safety seat and provide hands-on advice and instruction.